Can't wait to eat it tonight! It was SERIOUSLY the easiest meal ever! I just threw it all together in less than 10 minutes! 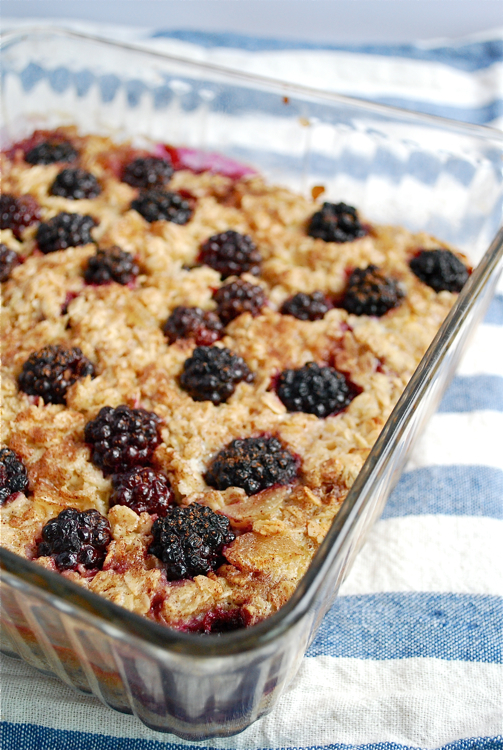 To make a creamier version, add ½ cup / 120 ml plain Greek yogurt the last 30 minutes of cooking. I am so thankful for Shakeology!! 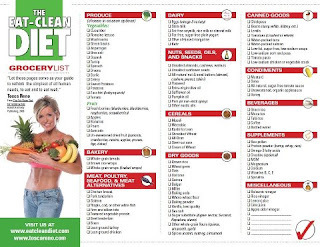 I can find a way to create a "cheat" and make it 100% healthy!! 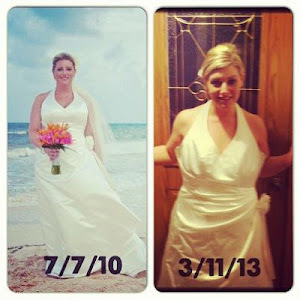 This is why shakeology is a life saver!! They do NOT compare! At Beachbody’s National Summit meeting in Las Vegas, Shaun T does a great comparison of how different the programs are and what you can expect from T25. Shaun Thompson, creator of Insanity and Insanity: The Asylum, has launched Focus T25 to get you fit in 25 minutes a day, 5 days a week. I love this workout in just 25 minutes 5 days a week you can get a great workout!! Only two days left for this sale!! How Many Grams of Sugar Should I Consume Per Day?? How many grams of sugar should an average person consume per day? I get this question almost once a week! So I decided to do some digging to see what was acceptable and why! Also, there are hidden sugars in so many foods that even I didn't realize! So it's really important that when you are starting to watch your food intake that you use a tracking device such as myfitnesspal to provide you with accurate information. My daily caloric intake, 30 g of sugar allowed! There is no definitive answer to the question, but 40 grams is the recommended amount for non-diabetic people. 40 grams of sugar refers mainly to added sugar, which is anything that is put into foods rather that which is naturally occurring such as in fruit. By this logic, for instance, ALL sugar in soda would be considered "added," since the beverage itself is constructed rather than harvested. To understand how much sugar per day you should take is very important. United States Department of Agriculture (USDA) advises adults who eat a 2,000-calorie diet to limit sugar intake to about 40 grams (10 teaspoons) of added sugar per day. The USDA sugar guidelines suggest that no more than 8 percent of our daily calories should come from sugar. It means that how much sugar per day we take should not be more than 8 percent. High sugar diets, or high glycemic index diets, can cause obesity. If you eat a high glycemic food or a high glycemic load meal, will triggers a rapid rise in our blood sugar levels, our pancreas is over-stimulated and releases large amount of insulin. Result? This large quantity of insulin rapidly mops up the excess sugar in our bloodstream causing our blood sugar levels to dip quickly below normal, causing us to feel hungry once more. So even though we may have eaten a high calorie meal, we are induced to feel hungry and eat again within a short time. This process may lead to excessive calorie intake and weight gain, possibly causing obesity. How much sugar per day should you cut down? The recommended daily sugar intake for diabetics varies from person to person, depending on whether he/she is hypoglycemic. It’s better to consult a doctor to understand how much sugar per day you should cut down and your individual requirements for sugar before following the above mentioned information. When the recommended daily sugar intake is spoken of, it refers not to simple sugars that we take in from sodas and desserts, but sugars from complex carbohydrates and fruit. You are not being asked to eliminate sugar completely from your diet, but to compensate for the excess sugar eaten, in the form of exercise. How much exercise will depend on how much sugar per day do you take. To know how much sugar per day you should take is not a simple task, but you can definitely control it, and by getting the right amount of exercise, you can regulate how much sugar per day is being ingested and digested by your body. Mass reduction in the sugar intake, or complete elimination, is not recommended, because your body is used to high levels of sugar, your blood sugar levels may drop, leading to several other health problems such as light-headedness, weakness, nausea, etc. However, excess can also cause fatigue and hyperglycemia. Consult your doctor if you have any health problems, and also to check how much sugar per day is suitable for you. Indulge in the naturally sweet taste of fruits, vegetables and other whole food. Be sure to choose the fruit and vegetables with the lowest amount of sugar present in it. Instead of having sweetened yogurt, try having plain yogurt and adding a fruit. It is recommended to add fruits like raspberries, cranberries and blackberries as they are fruits with the lowest level of sugar which is definitely fine and will not affect your low sugar diet! Besides, have a cinnamon raisin bagel with non-fat cream cheese or a toaster waffle with fresh fruits that are mentioned above instead of a cinnamon bun. Craving for milkshake? Try a homemade smoothie with real fruit and fruit juice that taste just as flavorful as a milkshake. Thus, these foods should be able to keep your sugar level low. As for beverages, choose water or unsweetened iced tea instead of soda. What if you consume much more than you should in a day?Too much of a daily sugar intake will also cause tiredness in an individual. Sugar, when first consumed, gives you a surge of energy. However, this energy will not last, instead it can you leave you feeling even more tired as before. In addition, a recent study has shown that excessive daily sugar intake will lead to the formation of wrinkles. Foods that are acceptable for low sugar diet. 1. Cut down slowly. Forget going cold turkey. Therein lies failure. Instead, if you normally have two candy bars a day, cut to one a day. Then next week, one every other day. The following week, one every three days, until you’re down to just one a week. If you normally take 2 teaspoons of sugar in your coffee, use the same routine, cutting down to 1 1/2 teaspoons for a week, then 1, then 1/2. Eventually, get to the point where you’re drinking your coffee black. The more sugar you eat, the more you’ll crave. So cutting down slowly is the best way to tame a sweet tooth gone wild. 2. Grant yourself a daily sugar “quota,” and use it on foods where it matters most. For most of us, that means desserts. Don’t waste it on dressings, spreads, breakfast cereals, and soda. Not only will this reduce your sugar intake in a day, but it will help you lose your sweet tooth. Sugar is incredibly addictive: The more you eat, the more addictive it becomes and the more it takes to satisfy you. 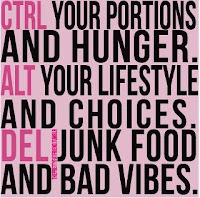 The opposite is also true: Train your taste buds to become accustomed to less and you’ll be satisfied with less. 3. Instead of downing sugary-sweet drinks like lemonade, make your own “sun tea.” Steep decaffeinated tea bags in water and set the pitcher in the sun for a couple of hours. Add lemon, lots of ice and enjoy the natural flavor of the tea. 4. Remember these code words found on ingredient lists. The only way to know if the processed food you’re buying contains sugar is to know its many aliases or other forms. Here are the common ones: brown sugar, corn syrup, dextrin, dextrose, fructose, fruit juice concentrate, high-fructose corn syrup, galactose, glucose, honey, hydrogenated starch, invert sugar maltose, lactose, mannitol, maple syrup, molasses, polyols, raw sugar, sorghum, sucrose, sorbitol, turbinado sugar, and xylitol. 5. Look for hidden sources of sugar. Cough syrups, chewing gum, mints, tomato sauce, baked beans, and lunch meats often contain sugar. Even some prescription medications contain sugar. For a week, be particularly vigilant and scan every possible food label. You likely won’t forget what you’ll find. 6. Choose the right breakfast cereal. Many of them are loaded with sugar. You want one with less than 8 grams sugar per serving or, preferably, unsweetened altogether (steel-cut oatmeal anyone?). Use diced fruit to sweeten your cereal. 7. Watch out for mixed alcohol drinks. Have you ever stopped to think about the sugar quotient of a cosmopolitan? How about a margarita or mai tai? Drink mixes and many alcoholic beverages are absolutely thick with sugar. 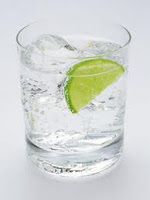 Stick with beer, wine, or if you prefer spirits, mix only with unsweetened seltzer or drink it straight. Of course, seltzer water with lime will also do just fine. 8. Shakeology can cure a wicked sweet tooth. One of my vices for sugar cravings is Shakeology. I tend to crave sweetness in the evenings so lately I have been saving my shakes for the evening when I need something sweet! It has been doing wonders for me. 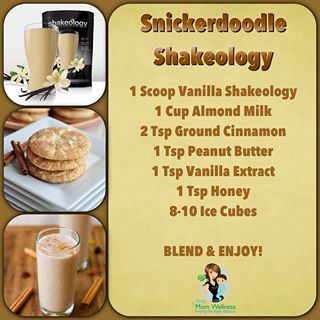 I mix it with water, ice, some almonds and almond extract with a scoop of chocolate Shakeology! Plus it's low glycemic index and doesn't cause a spike in your blood sugar! Love it!! You should give it a try if you struggle with cravings! So a common question that I get all the time is how to calculate the amount of calories I need to be eating each day in order to lose weight. I also get the question how to determine how many calories to eat when you then add in exercise and the calories burned during the workout. 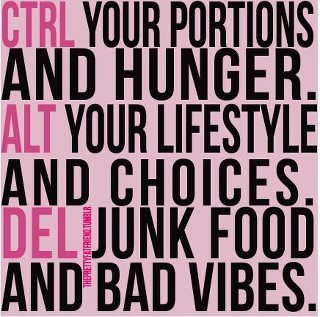 Do you add those calories back into your day? When I started my health and fitness journey I did not use any type of calorie calculator or tracker. 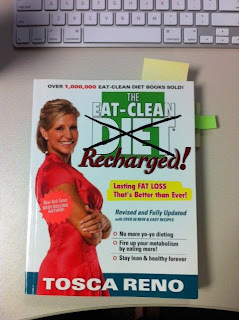 I simply read the book, Eat Clean Recharged, By Tosca Reno and followed the principles of clean eating. I did not track calories instead I followed her rules for proper portion sizes and the specific pairing of foods together. 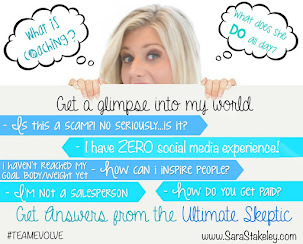 I can honestly say that following that method brought me the greatest amount of success. I am in no way a numbers girl. I truly think that God left that part out of my brain. The minute you tell me to sub total, add or calculate anything I immediately shut down and if I have to do it then most likely (90%) of the time my calculations are wrong!!! So I think this is why I embraced Tosca's rules so easily. It was a no brainer way for me to lose weight. Although, for some people counting calories is a must. Maybe this is you! Maybe you are a numbers person and you need to see it with the data in order to believe that you are making progress. If this is you then I am going to do my best to explain to you my understand of myfitnesspal and the use of determining your calories and exercise for weight loss. So in the research that I have done a lot of people including myself use myfitnesspal to keep track of their calories in the sense that they track what they eat. 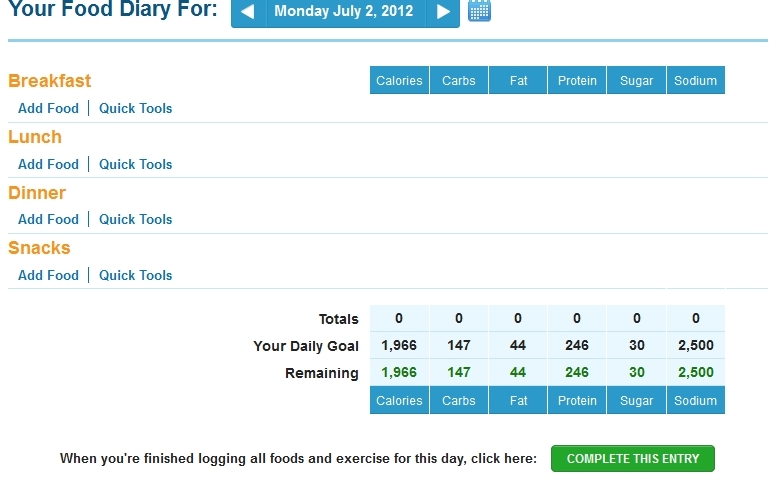 I do not use myfitnesspal to tell me accurately how many calories I should aim to eat each day. I found a way to set up MFP so I could see my daily deficit each day, and I could maximize my calorie burn on heavy workout days, and not have to eat like a bird on my non workout days. 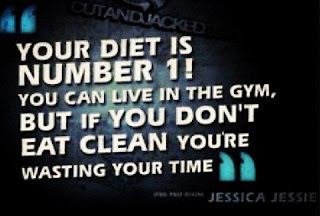 This is mostly appropriate for people who's maintenance calories before exercise are less than 2200. At 2200 or above, you can safely create a 1000 calorie deficit without exercise - so if you set up MFP to lose 2 pounds a week it would set your calories to 1200. You would then eat all your exercise calories and keep your 1000 calorie deficit, making noticeable progress quite achievable. When you have less to lose, your options are to decrease your deficit by eating more, or eat less and run the danger of a weight loss plateau because your body isn't getting the nutrients it needs for basic functioning. Well we can all agree that eating less (under your BMR) is not a good way to go. We could try setting to .5 lb a week weight loss, but there's not a lot of wiggle room with 250 calories, and a few off calculations with exercise and food and you could find yourself gaining, not losing. With this method, you can reach whatever deficit you want day by day, and you will know that you are safely keeping your deficit under 1000 (2 lbs a week loss). Rather than force feed yourself on high calorie burn workout days,, you can use those great workouts to maximize your weight loss - which, let's face it, is probably one of the main reasons why we workout to begin with. So if you want to figure it out here is what to do. Step 1: Figure out your BMR Basel Metabolic Rate - this is your body's calorie requirements for basic functioning. You would burn this if you just stayed in bed all day. There is a BMR calculator on this site under TOOLS. This is going to be your minimum number. You will be aiming to eat at least this much every day, if you workout you get to eat those exercise calories back!! Step 2: Figure out your Maintenance calories before exercise. You can use MFP's calculations based on your activity level. Use this tool based on your activity level to determine this number. This is the number you're going to set your MFP calorie goal to. You're not going to eat this number, but it will be a marker for how much of a deficit you are creating. 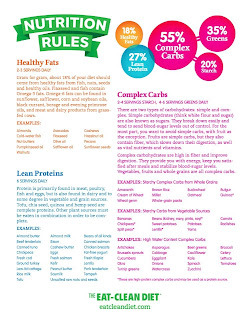 If you want to get all technical here is some great information on calorie calculating, macros and nutrients. Step 3: Figure out how many exercise calories it will take to reach a 1000 calorie deficit (the maximum). Do this by adding 1000 to your BMR, and then subtract your maintenance calories (the number you found in step 2). This number will let you know how many calories you can burn through exercise without eating them back. If you burn more than this number, you will HAVE to eat the surplus calories at least to keep your safe 1000 calorie deficit. Step 3: (BMR + 1000) - maintenance/ 2234 + 1000 - 2904 = 331. So I set my MFP calorie goal to 2904. I aim to eat at least 2234 to 2400 calories per day, regardless of exercise, but definitely no less than 2234. If I burn more than 556 through exercise on a given day, I should eat at least the surplus calories. So if I burn 800 calories through exercise, I would want to eat at least 244 calories above my goal of 2234 - so at least 2400. Now for the fun part. When you look at your numbers in your tracker, the green number under the word REMAINING will show your total deficit for the day. The smaller that number, the closer you are to maintaining your weight. If that number is near 500 and you kept it like that for a week you would lose 1 pound. If that number is near 1000, you would lose 2 pounds. I usually aim to keep that number between 500 - 1000. I personally LOVE being able to see my deficit for the day. It really makes me feel in control of my weight loss. I have a small deficit on my days off from working out, and I have a larger deficit on my long run days (big calorie burns). So now the question is this. Did I completely confuse you or do you feel confident in figuring out your nutritional intake? If you want more guidance on clean eating and getting in your calories by consuming the most nutritionally dense foods that are going to enhance your progress and give you energy then consider joining my next challenge group. In my challenge groups I teach you all the principles of clean eating, keep you accountable by checking in each day, require you to post your progress, give you meal plans, recipes and tips to stay on track. I will teach you all the principles of clean eating along with some of these awesome calorie calculating tools as well. It's amazing how MUCH food you can actually eat when you consume whole foods instead of processed pre packaged foods. The results come in your waistline, energy level and satiety!!! 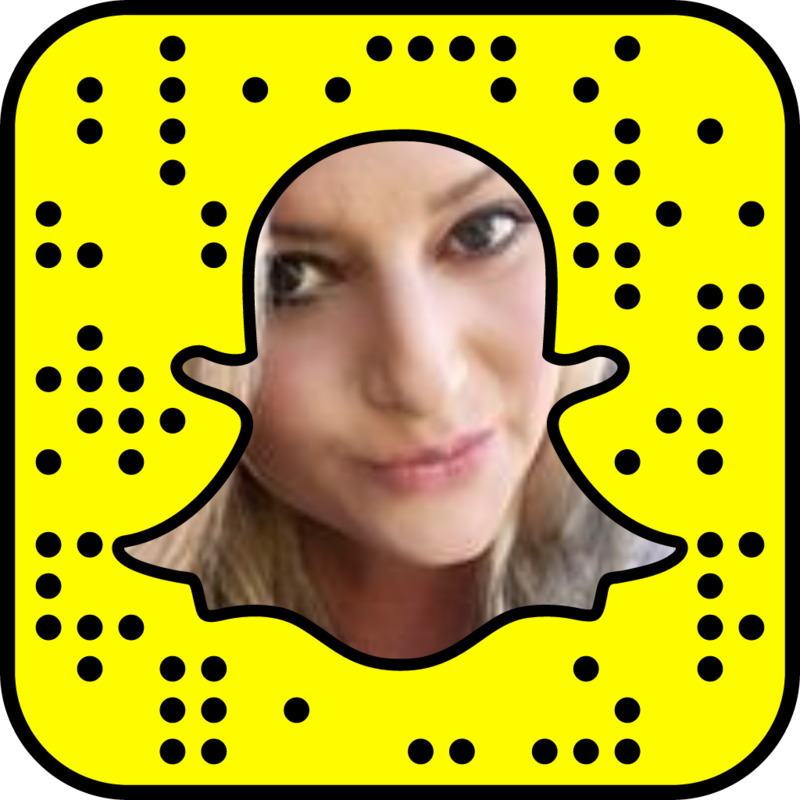 Ask me about my April Challenge Groups! Its Summer and I'm sure your weekend is packed with picnics, graduation parties, birthday parties or dinner at a restaurant. As I'm writing this sentence my blood pressure is already starting to rise because I know that all of these things are filled with high fat, sugary, and hard to resist temptations. The last picnic I went to the menu consisted of pigs in a blanket, roast beef, stuffed chicken breasts, mashed potatoes, salad, and fruit salad. Oh, and need I forget the beer, liquor, pop, cookies and cake! So needless to say there was not much for me to choose from. I did my best to keep it clean. People kept giving me weird stares and offering me cake and cookies. I politely declined and drank my water and ate my fruit. When I got home I prepared myself a healthy snack. To keep from having to stress every time you go out in public to a restaurant or an event here are some tips fromTosca Reno's Stripped book to keep your blood pressure in check! Planning is best, when you are out you always need a game plan. 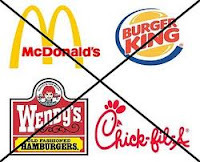 You should avoid eating out as much as possible because once you enter a restaurant you surrender control over what is in your food. 3. Start small and green. Start your meal with a salad, without dressing. Use a spritz of lemon or some balsamic vinegar. 6. Clean Cooking techniques rock! 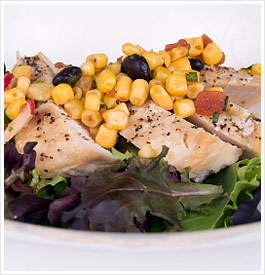 Look for entree options featuring steamed or raw veggies and grilled, baked or roasted meats or fish. If they aren't listed, ask the server to prepare it that way. Oh and don't always trust the low fat or fat free symbols. 7. Portion control is in. Have a good look at your plate when it arrives. Ask for a doggie bag and split your meal in half. 8. Fletcherize. The practice of chewing each mouthful a min of 25 times. It gives your body a chance to recognize when you are becoming full. (This is very hard to do when you are with ki ds, because you never know when they have had enough and you will have to leave your meal behind to take the kids out). 9. Zero Tolerance. You want to avoid alcohol because sugar can derail you in the most powerful way. Have sparkling water with lemon or lime slices. If you doubt your ability to resist restaurant offerings then pre-eat! Then when you go to a restaurant or social event you don't have to worry about what's on the menu and you can focus on socializing. Take a zumba class with friends- I am doing this at Northway Church every Thursday night! AWESOME! Thankfully, my friend Mel was drinking it and assured me it was legit... so trusted her...took the plunge and ordered it on home direct. I am soooo weird about getting things on autoship because I don't want to get charged a million dollars and sucked into something I can't cancel. Lucky for us, Beachbody has an amazing customer service staff and if you need to postpone or cancel your order, you just shoot 'em an email. I am sooooo glad I got the full 30 day supply because to be honest with you...the first time I made it...I did not like it. Maybe it's because I have no idea how to mix shakes...maybe it's because I had this clumpy yet watered down shake...it was kinda nasty!! But after reading some recipes and getting tips on how you should blend it, I figured out how to make it the way I LOVE. Guys I am serious OBSESSED with this stuff- I would not lead my friend astray! 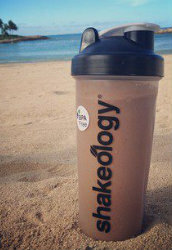 If you are not yet addicted to Shakeology...Try it our for a week and see/FEEL the benefits for yourself. The purpose of this Challenge: Well it's designed for people who need a little help getting their fitness and nutrition journey going, but aren't ready to commit to a full 30, 60 or 90-day program yet (I know how overwhelming that can be!). This Shakeology Challenge will help you lose weight, incorporate exercise into your daily routine and get in the habit of eating healthy, balanced meals a day. Eat healthy, nutrient dense meals 95% of the time. You can browse the challenge group for recipe ideas- I promise they are yummy. We will follow the Shakeology eating plan. In 7 days you will FEEL the benefits of Shakeology, the energy it gives you, and honestly...eating clean just me in a better mood! A closed Facebook group for Accountability, and Support!! The Challenge starts every Monday in August!! The 5th! The 12th! The 19th! And the 26th !! #1 See Paypal form below to purchase your 7 Day Shakeology Kit or Send $40 to sarastakeley@yahoo.com as a personal gift via paypal. You will get a mix of all the flavors!! New Vanilla, Chocolate, Tropical Strawberry and Greenberry! #2 Get the most bang for your buck and order a month supply of Shakeology (If you opt for the month supply, make sure you select Home Direct to save yourself $10 with free shipping.) 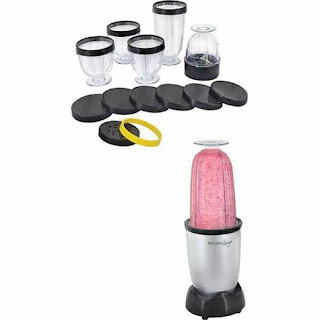 The FIRST 3 Home Direct orders will receive a FREE blender as a gift from me. 6 Tips for a Yard Work (out) !! Prepare pasta according to package directions. In large bowl, combine cooked pasta, Hoisin sauce, cashews, cilantro, red bell peppers and green onions. Add salt and pepper, to taste. 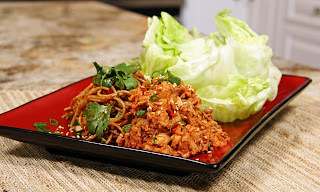 For assembly, divide pasta mixture evenly into each lettuce cup and then top with Spicy Thai Chili Bumble Bee Sensations® Seasoned Tuna Medley. Garnish as desired with water chestnuts, cashews, cilantro and sesame seeds. How I plan to keep it Clean on my BEACH vacation !! We are headed to the beach for some fun in the sun!! 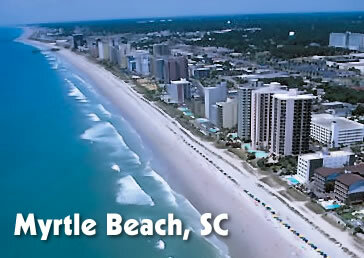 This year we are meeting friends at the beach and we are flying into South Carolina and not driving! So once I have to pack smart and plan to shop when we get there !! There is nothing worse than a sand-filled, sun-melted snack at the beach. But since those ocean waves and fresh salty breezes really work up an appetite, it is usually a smart idea to pack a snack, even if you just are headed for a quick jaunt to the shore. Here are seven beach-approved, healthy snacks to stash alongside your beach blanket and sunscreen! Here are some healthy snacks I have on my shopping list!! 1. Citrus. Out of all of my beach fruit-snacking experiences, citrus remains the most successful. It not only has a sturdy, sand and sun-blocking rind and a sweet flavor, but it is incredibly juicy and hydrating. And unlike bringing along water bottles or cans, the container, aka rind, is 100% biodegradable. Plus citrus is rich in fiber and vitamin C, so it will fill you up and give you a free, radical, antioxidant-fighting boost. 2. Banana. Bananas are another sand-proof and sun-proof fruit. They have a convenient rind that peels easily away for snacking success. Plus that instant energy boost from fruit carbohydrates will energize your body. Bananas are also rich in potassium — an electrolyte that helps you stay hydrated. Bananas are a good source of fiber and easily digested. Bring along a peanut butter or almond butter squeeze pack and crackers to pair with your banana if you want a heftier snack. 3. Salted Nuts. Nuts are a good choice if you are looking for some sustainable fuel to last your beach day. They provide healthy fats, protein — and salted varieties provide sodium — which may be lost during sweating and exercise down by the shore. For best results snack on your salted nuts alongside a tall bottle of water — this will help hydrate your body instead of leaving you feeling thirsty. 4. Snack Bag Crackers. There is nothing wrong with packing a snack bag of crackers for your beach adventures. Choose whole grain or seed-filled crackers for more nutrients and fiber. Crackers offer complex carbohydrate energy, yet are easily digestible. Enjoy with a beverage since crackers can be quite drying. I love Food Should taste good chips !! 5. Frozen Coconut Water. My favorite on-the-beach sip is half-frozen coconut water. I stick a tetra pack of coconut water in the freezer overnight and bring it frozen to the beach. By the time I am ready to chug it, it is half-thawed and still totally chilled. Delicious! And so hydrating since coconut water is rich in electrolytes and has more potassium than a banana. 6. Veggies! Good old fashion veggie sticks may sound boring “inside” but step out on the beach and you may find juicy, crispy, nutrient-infused veggie sticks oddly appealing. Stash some sliced cucumbers, radishes, carrots, celery, jicama, and more in a plastic baggie along with some ice. The ice will help keep those sticks cool by the time you are ready to munch. Bring along an almond butter snack pack to pair with those veggies — especially the celery! Bonus: unlike sliced fruit, veggies do not ‘brown’ and oxidize in a baggy. Tip: pack with a lemon slice or toss in lemon juice to keep your veggies extra crisp and fresh. 7. 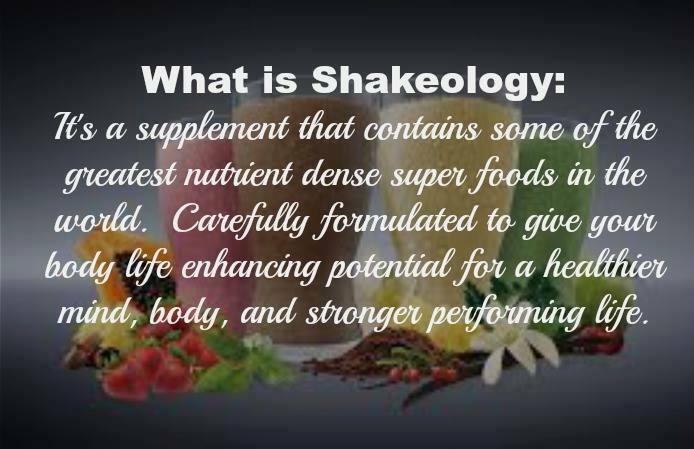 Shakeology! I pack a frozen water or add water to our cooler! All you need is a shaker cup and a packet and you have a healthy lunch or snack !! We are off and as always I have a plan!! I will take my workout DVDs and do them from my laptop! And with T25 I didn't have to pack anything but my bands!! I love to walk on the beach and of course swim in the ocean! So I will get plenty of active rest! I have a good book to read and my SPF!! I think I am all set. Are you headed out for a beach vacation? Worried how you can stay on track? 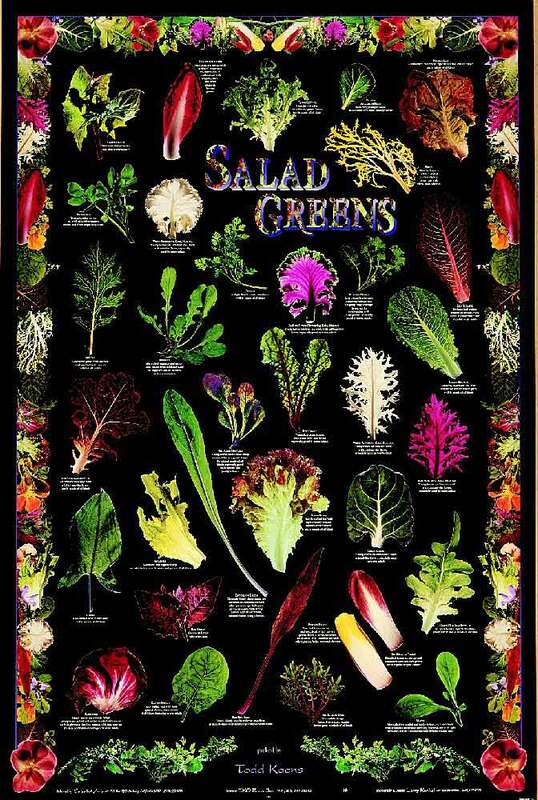 A: All leafy greens are nutritional winners, but some definitely stand out as being especially packed with nutrients. We’ve pitted 5 common types against each other to see which one is a standout (and why). All of these greens are ultra rich (more than 20% of your daily needs) in vitamins A, C, and K, and have less than 50 calories per cup of cooked greens. Spinach, none other than Popeye’s favorite food, takes the first place position. It was a tough decision, but we wanted to see which greens contained over 20% of our daily needs of the most nutrients… and spinach came out on top with a whopping 12. These include vitamins A, K, C, B2, and B6, iron, manganese, folate, calcium, magnesium, potassium, and tryptophan. This makes spinach like nature’s multivitamin. Plus, we love that spinach is as easily eaten cooked as it is raw, and probably one of the most versatile greens of the bunch. Swiss chard & collard greens are both representing in the nutrient department. Swiss chard, the green leafy veggie with rainbow colored stems, and collard greens finished in a second place tie with a very respectable 7 nutrients, each over the 20% daily value mark. For chard, that included vitamins A, K, and C, potassium, magnesium, manganese, and iron. For collards, it was vitamins A, K, and C, folate, manganese, calcium, and fiber. Kale, while it didn’t win on most nutrients overall (it has 3 over 20%), was a standout for having over 300% of your daily needs for vitamin A and 90% of your needs for vitamin C. If you’re looking for a winter green with same added immune boosting power — kale is a great choice. Kale also sports close to 10% of your calcium needs. We love its hearty texture that stands up to cooking in soups and sautés. And of course, a shout out to kale chips is well deserved. Mustard greens posted a respectable five nutrients over 20%, including vitamins A, C, and K, folate, and manganese. We love sautéed mustard greens with olive oil, garlic and toasted pine nuts to use as a savory side. Do you have a favorite summer green? What’s your favorite way to prepare it? Getting the kids off to school on time is hard! Make it easier with this perfect kid-friendly breakfast from The Eat-Clean Diet® for Family and Kids, which can be prepared in less than 10 minutes! Whisk together egg, milk, salt and pepper. Heat skillet over medium-high heat. Coat with cooking spray. Pour in egg mixture, tilting to spread evenly. Cook, piercing any bubbles, for about one minute or until set. 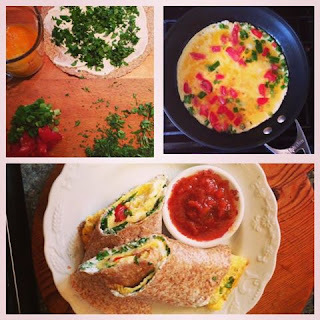 Spread the omelet with yogurt cheese and sprinkle with cilantro or other herbs. Slide the omelet onto the brown-rice wrap. Roll up! What is the Beachbody Challenge? 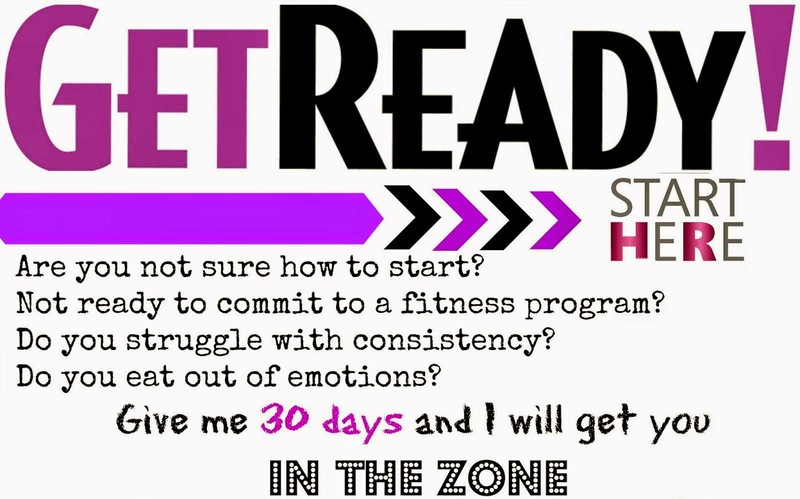 Is a 90 day program for those that are ready to commit to their weight loss goal. The point of this 90 day program is to teach you how to learn how to take baby steps and eat better, so that you can break a weight loss plateau, trim any excess fat and look your best in 90 days. 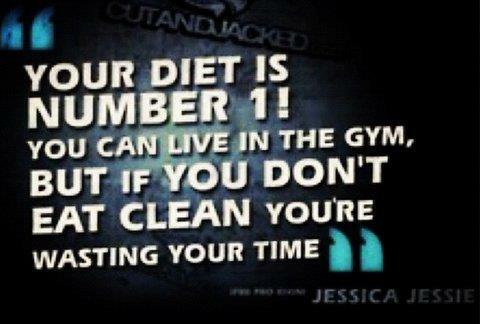 The eat clean diet in conjunction with Shakeology and exercise will give you the best bang for your buck!!! I have done it and I know it works!! So let me teach you all that I know. 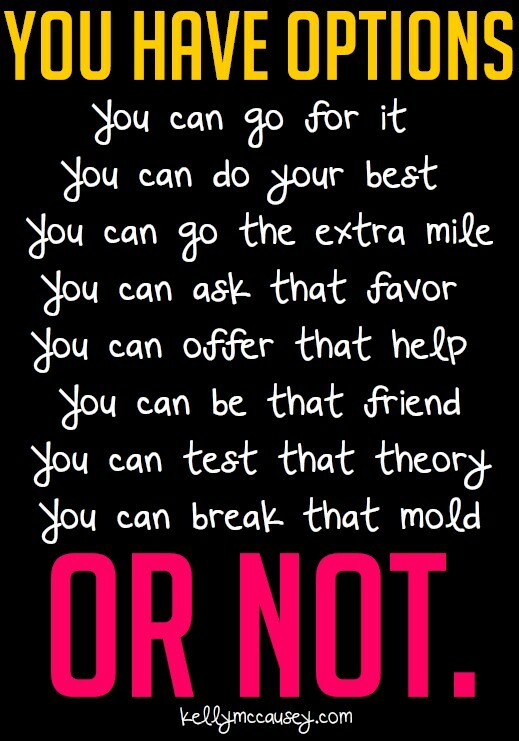 Here is a video on what it is all about The beachbody challenge !! This group will begin on July 29th and will run for 90 days. 1. You must be a member of my Teambeachbody Site. 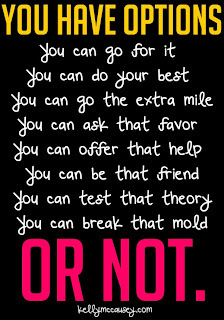 You can do that by going to http://www.teambeachbody.com/sarastakeley2 and creating a user name and password. Then I will contact you to start the process of choosing the right program to meet your needs and answer any questions that you may have about the challenge group. 2. Then, together we will pick a Beachbody Fitness program that is going to meet your unique health and fitness goals. 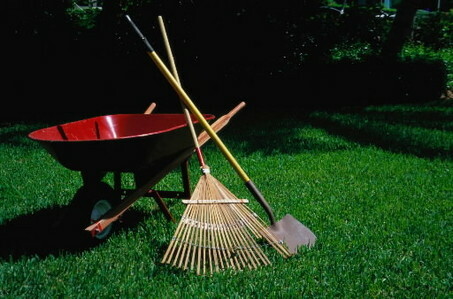 We will pick that together with your individual ability in mind. 3. You commit to replacing 1-2 meals a day with Shakeology for the duration of the group. I require shakeology because it is one meal that you don't have to worry about. It's the one thing that is going to give you the energy to give your workouts your all, curb your cravings, control your hunger and boost your immune system and keep you the healthiest that you have ever been. If you choose to discontinue Shakeology after the Challenge that is perfectly fine with me! But it definitely was the missing piece when I was trying to change my health. 4. You are an active participant in the challenge group. This means that you log into the closed facebook support group at least once a day to see the daily post and to also post your daily check in. 5. You can request to join the challenge group here. I would be happy to answer any questions you have. Here's to your health and making this the best summer yet!! Preheat the oven to 375 degrees. Spray an 8” square baking dish. In a small bowl whisk together the milk, egg, and coconut oil. Who says nachos have to be made out of chips? Wedges of sweet, juicy watermelon drizzled with yogurt, sprinkled with dried cranberries and toasted almonds and dusted with cinnamon makes a great, summery snack – especially on those days when you can’t take the heat. Arrange the watermelon triangles on a serving platter, set aside. In a small bowl mix yogurt with extracts and drizzle mixture over the watermelon to give the appearance of nacho cheese sauce. Sprinkle dried cranberries, white chocolate chips and almonds over the yogurt and dust with cinnamon. Silly Green Alphabet Pasta $1 per serving!! This Silly Green Alphabet Pasta is a fun way to turn pasta night into something green! And the best part is that it is truly a meal in a bowl. I served this dish with a side of white bean soup, some crusty bread and dinner was done. For the pasta, I take whole wheat alphabet pasta, classic kid food, then I doctored it up with some light pesto sauce, sweet sun dried tomatoes and a few sneaky shreds of spinach folded in as well. But since the pasta is so green, you really barely even notice all that super healthy wilted spinach! This pasta is a must try for kids, but adults will adore it as well. And if the pesto flavor is too bold for your kids, you can tone it down a bit – merge the “pesto” into more of a green aioli. Give this bowl a whirl and try to get your kids to love green! Pesto Recipe. You can really use any pesto recipe you’d like. On a super busy night you may be able to find a few pre-made pestos from the store that are fresh and delicious. (Whole Foods even sells a bagged vegan brand!) I usually use this recipe for my vegan pesto pasta. I also love this lemon leek pesto recipe or this spicy rockstar pesto recipe. Both vegan. If you need a fast pesto recipe - try this: handful of fresh basil, 1/2 cup olive oil, 1/3 cup lemon juice, 2 Tbsp agave syrup, salt/pepper to taste and garlic paste to taste. 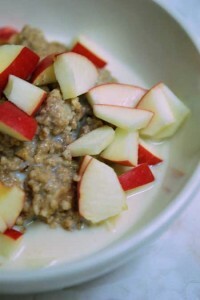 I also add in a scoop of nutritional yeast and a handful of walnuts to mellow out all the vibrant flavors. 1. Cook your pasta, drain. Toss with a drizzle of EVOO. And toss with a few spoonfuls of nutritional yeast (optional). 2. Toss warm pasta with prepared pesto sauce. Start with a few spoonfuls and toss. Add a spoonful at a time until your pasta is coated the way you like it. 3. Fold in the fresh spinach – it will naturally wilt. Also fold in the sun dried tomatoes. They will plump up as they absorb the pesto and steam from the warm pasta. 4. Serve warm or place in warm oven until ready to be served. Top with fresh basil just before serving. More nutritional yeast sprinkled on top is yummy too. Every week I make at least one meatless dinner. 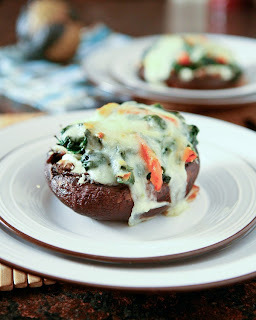 This was one of ours this week, stuffed portobello mushrooms. I love making these big meaty portobello mushrooms because they are so meaty and filling. For these, I first stuffed them with a generous layer of fresh ricotta cheese. Then I topped that with sauteed spinach, red peppers and sweet onions. To top it off, a handful of mozzarella cheese. To go along with these mushrooms, I made a simple salad dressed with oil and vinegar. 1. Preheat oven to 400 degrees. Rub olive oil all over the outer part of your portobello mushrooms. 2. Preheat a large skillet and drizzle with olive oil. Add onions, red peppers and spinach. Add salt and pepper. Saute until spinach is wilted. 3. Spoon 1/4 cup ricotta cheese in each mushroom cap. Top with 1/4 of the sauteed spinach. Then 1/4 of the shredded cheese. With Vacations right around the corner, it’s time to revamp those indulgent eating plans, and rethink the way we’ve been doing dinner. After reading Michael Pollan’s Food Rules book this weekend, I decided to sit down and make a list of the most healthiest and most affordable foods found in the grocery store and farmers market stands. I also pulled together 25 recipes from The Family Kitchen which feature these foods, because I believe one of the best ways to get healthy and stay in a budget is to have a recipe and a plan. Here are 25 healthy foods which can be purchased for a dollar, and 25 incredible recipes to go with each of the food picks!! A pack of Tofu costs about a buck and is packed with healthy soy protein. 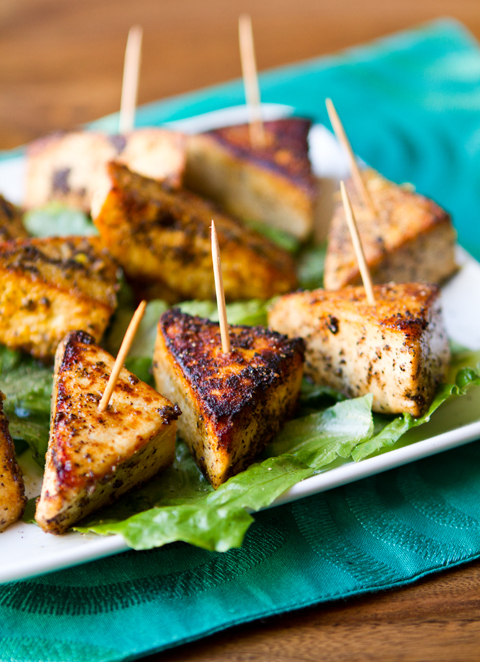 Add these Simple Salt and Pepper Tofu Triangles to your dinner menu tonight! These cute tender tofu triangles are salt and pepper crusted. Crisp, caramelized edges, soft on the inside. Salty, peppery flavor in each bite. Simply recipe. Perfect as a entree protein, side dish, party appetizer or pile into a burrito or wrap. And just imagine the variety of yummy dipping sauces you could pair with these cuties. Sweet and sour, hot sauce, BBQ sauce, chimichurri and more! Salt/pepper is a very versatile flavor. Make these triangles tonight!.. I highly advise using safflower oil as your saute oil. It creates a lovely crispy edge to the tofu — and is considered a “healthy” oil for high heat cooking. “cheezy” option: sprinkle with nutritional yeast fresh off the saute pan — or during last minute of cooking. 1. Drain tofu. Remove from pack. Squeeze dry with a paper towel. Remove as much water as you can without breaking the tofu. Slice into triangles. 2. Heat a saute pan on high with the 1/4 cup safflower oil heating. Wait until oil is hot and carefully drop tofu. Be careful as oil may slightly splatter. Try to evenly space tofu in pan. 3. Do not disturb the tofu for the first few minutes — simply let it cook, heat and toast that first edge. During this time you can add a very thick layer of fine black pepper to the uncooked side of the tofu. the pepper should cling to the raw, still damp surface. Also add an even amount of salt to the tofu. You can add more salt later so don’t over-do it. A light sprinkle will do. 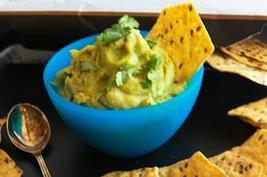 Drizzle in the agave or maple – this adds a slight nice sweetness to compliment the saltiness. When the edges start to appear browned you can flip the tofu. 4. Allow this second side to cook for a few more minutes.. You want all sides to be toasty brown and crisp. You can start flipping more casually as needed now until you like the browning on each edge of the triangles. 5. Remove from heat and cool on a paper towel to absorb excess oil. You can add some nutritional yeast for an added “cheezy” flavor and texture. 6. Serve hot, warm or even chilled!